Home » News & Views » Law & Rights » EU DEBATE: In or Out? Why Should We Stay Or Leave? 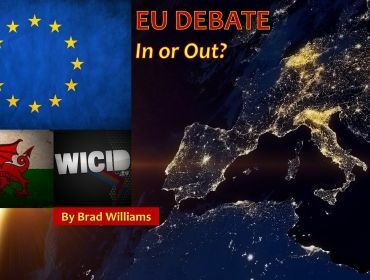 EU DEBATE: In or Out? Why Should We Stay Or Leave? With just 7 days to go until Britain goes to the polls, many people across this valley and indeed the nation, are still undecided on the referendum, the big question; should Britain stay in the EU, or leave? That is, of course, your choice. Well, for 18 year olds and over. There are many concerns, and yet many politicians do not help some people to make up their minds. We have seen leading political figures go head to head in TV debates but, still at the end of that, some are left more confused than they were prior to the debates. The South Wales Valleys are given the most in terms of aid from the EU, that is a fact from a EU source. It is evident that the Valleys has benefited in some form from the investment, for example Aberdare and Pontypridd town centres were given a grant from the EU to help refurbish their main streets. The newly revamped ‘Lido’ in Pontypridd was given investment from the European union. But many feel that if we leave, the vast amount of money that Britain sends to Brussels every year, could indeed be spent on things like the NHS and our public services that have suffered from government cuts recently. So what are the arguments to leave? Well, the main focus is on immigration. They want to ‘take back control’ of the borders and also spend the figure, they say, of £350 million that we send to Brussels, on our ‘priorities’. –	On average a year; 9,000 people migrate to Wales. –	Added to that at least 6,000 Welsh people move out of Wales every year. So does migration and immigration really strain our resources? The stay argument stress that the migrants come to Britain to work, and that they make a great contribution to the UK economy. Whereas the leave argument is that migrants come here to take advantage of the benefits system but also the free NHS. 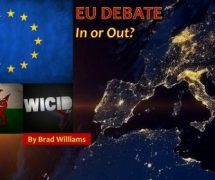 What has the EU done for Wales? –	Railway stations getting a refreshment: £21 million of EU money helped with that. –	Road improvements: A465 was helped by £82 million of EU investment. Following all of the above, EU funding has failed to help lift the Valleys out of the most deprived region in Europe.